LOCKED OUT? OUR CAR OPENING EXPERTS WILL GET YOU BACK IN. 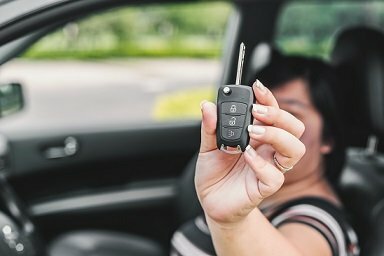 Car opening is, of course, the business of getting you back into your car if you’ve lost your keys, or locked your keys inside with no way to get at them. If it happens to you, call us and we’ll come to the rescue. We can enter almost any vehicle without damaging the paintwork or bodywork, without smashing windows and even without causing damage to the lock itself. We aim to be with you, wherever you are in the London area, within an hour, and to have you happily back inside your vehicle, keys in hand, within a few minutes. If you’ve lost your keys entirely, we’ll come out to you and open your vehicle. We’ll then supply you with a new key, which we will cut to your lock profile, and whose transponder chip we’ll then programme for you so that the key deactivated your immobiliser when you start the car. We’ll also set up your new key to release your central lock and to deactivate your alarm for you. However, your old key worked, your new key (or key and fob) will perform the same way. It’s far more common that you might expect to lock your keys inside your car. We see it virtually every day, and most of the cases are caused by nothing more complicated than people opening the rear hatch to put their shopping in, dropping the keys onto the floor of the cargo area, and then putting their shopping on top of them. By the time they’ve slammed the hatch and discovered they don’t have the keys, the central lock has usually shut them out. If it’s not this then, in winter particularly, it often happens when people try to jumpstart their car with the keys in the ignition and the doors closed. As soon as they connect to the other car’s battery, their central lock activates and they’re shut out. Getting back into the car is more often than not a matter of good, old-fashioned lockpicking. Which is why you need Mirolocks’ skilled and experienced auto locksmiths. It’s not just about having the equipment to do the job: it’s about having the expertise and know how to use it. CALL US NOW – 07462 327 027. If you’re locked out of your car and you need someone to get you back inside, all us. We’ll be with you in about an hour.